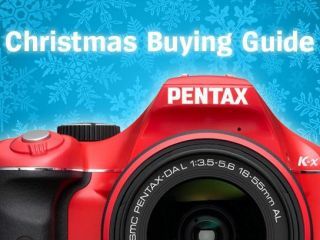 If you're looking to buy a digital compact camera for someone this Christmas - or simply want to treat yourself - then don't miss the PhotoRadar Christmas digital camera buyer's guide. The site's experts have selected the top 10 buys for every budget, listing compact cameras for less than £150, £150-£250 and Premium compacts plus beginner and enthusiast digital SLRs. What kind of digital compact camera does £150-£250 buy you? A very good one, if you follow our top 10 guide. Cameras in this range offer a decent blend of performance, features and build quality for the price. It's in this price bracket that you also find camera manufacturers trying out new technology, such as Fujifilm with its EXR sensor. If you're a newcomer to 'serious' photography, the chances are you'll be looking for a digital SLR this Christmas. The good news is that there are some fabulous 'entry level' D-SLRs available right now. Here we list the top 10 cameras that blend beginner-friendly features with good picture quality, for £650 or less.. It's Christmas... why not treat yourself to that digital SLR upgrade you've been promising yourself all year? You deserve it. We've selected our current top 10 best buys in the 'semi-pro' D-SLR bracket, with prices ranging from £560 to £2400. You get a lot for your money here though, with cameras that are built like tanks, and offer class-leading performance and superb picture quality.